The Dorr Telescopes is a high class astronomical telescope brand that offering an incredible range of high quality astronomical telescopes. The wide range of products enables all age group people to enjoy using them. 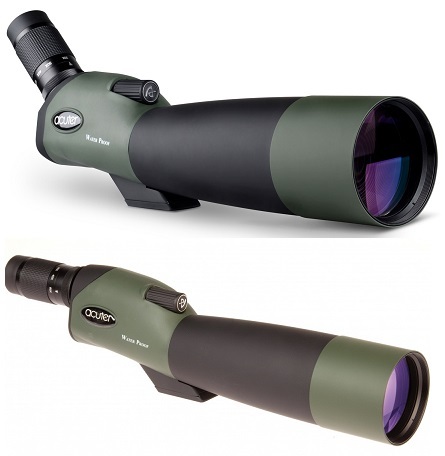 Today it is popular with shooting, hunting and hunting Nature observations that have a high magnification and a compact construction. The traditional and timeless design of the Danubia Pocket Telescope is brilliant for nature viewing and target practice. The Danubia Pocket Telescope can also be collapsed to a compact size which can be easily stored within a pocket. Dorr also offers Catadioptric designs telescopes that uses a combination of mirrors and lenses to increase the effective focal length of the telescope while allowing it to be folded into a more convenient and compact size. The use of a full-aperture correcting lens in these scopes virtually eliminates spherical aberration, chromatic aberration, and coma. The word Catadioptric is derived by combining the term for an optical system that forms images by using mirrors (catoptric) with the one for a system that uses lenses (dioptric). Dorr offers most popular Catadioptric designs that are Danubia Delta 20 and Danubia Delta 30. There are many different telescope designs and power available with different ranges e.g. Danubia Meteor 31 Newtonian, Danubia Saturn 50 Newtonian, Danubia Sirius 150 Newtonian, Danubia Atlas 2000 Newtonian, Danubia Orion 200 Newtonian and many more. Microglobe offers competitive prices for all range of Dorr Telescopes.